It’s a reproduction of a pin given to attendees of the building’s opening ceremony in 1969. By Madeline Bilis·	 2/6/2019, 12:31 p.m. 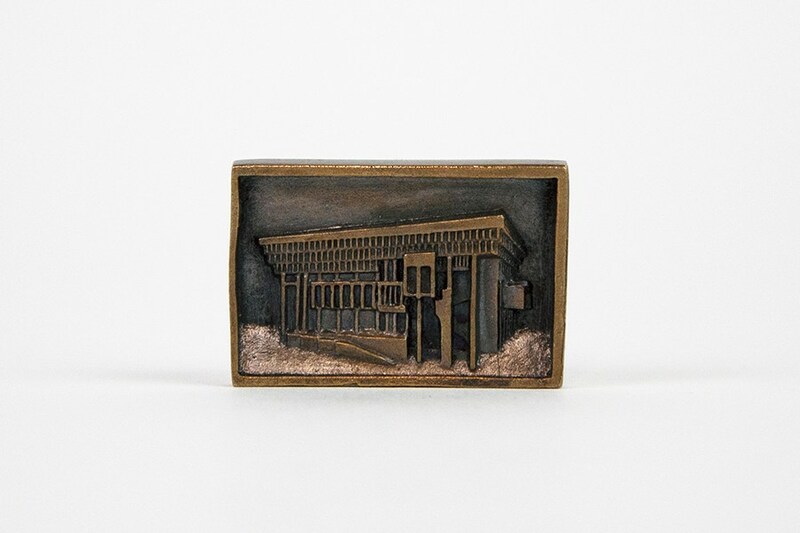 But the lucky, pro-Brutalist Bostonians who attended these opening events were gifted a commemorative metal lapel pin with a likeness of City Hall on it. And now, to mark 50 years since the concrete landmark’s opening, a limited edition reproduction of that lapel pin is being released. Created by architect Chris Grimley and designer Shannon McLean, the pins are a tiny but mighty tribute to one of the city’s most controversial buildings. Grimley, a founding principal of the firm OverUnder and director of the pinkcomma gallery, is an ardent protector of City Hall’s legacy. 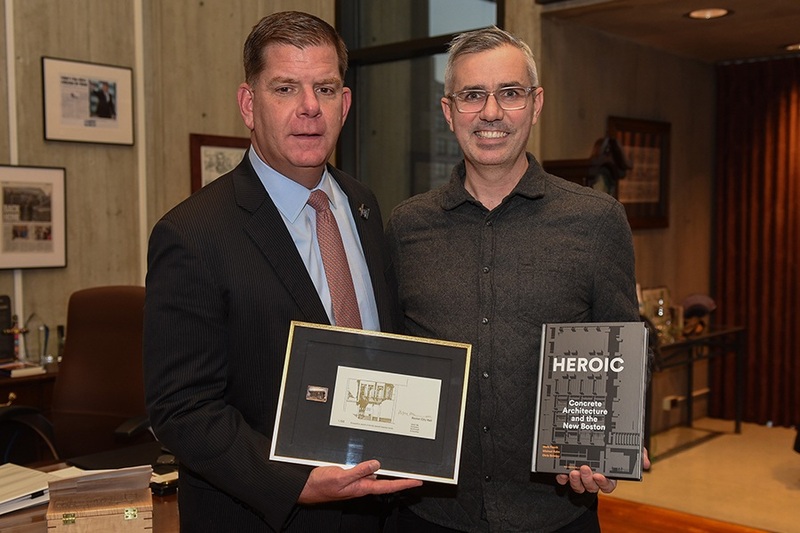 He co-authored the Boston Brutalism bible, Heroic: Concrete Architecture and the New Boston, and created the Boston Brutalist Map in 2017. 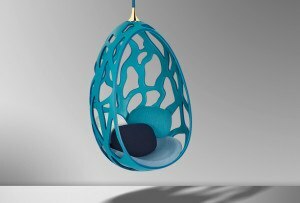 “Given that attitudes toward the building have changed so much in the last few years, having something to wear to celebrate the building is an achievement,” Grimley says. Grimley thought to reproduce the pins when he spotted an original in the office of Joyce Linehan, the mayor’s chief of policy. After years of researching the history of City Hall, he’d never seen one before. A total of 50 bronze pins are now on sale for $250 apiece. They were reproduced by Rhode Island-based Harrison Casting and hand-patina’d by Grimley and McLean. Each pin also comes with a one-of-a-kind letterpress card engraved by Goosefish Press. 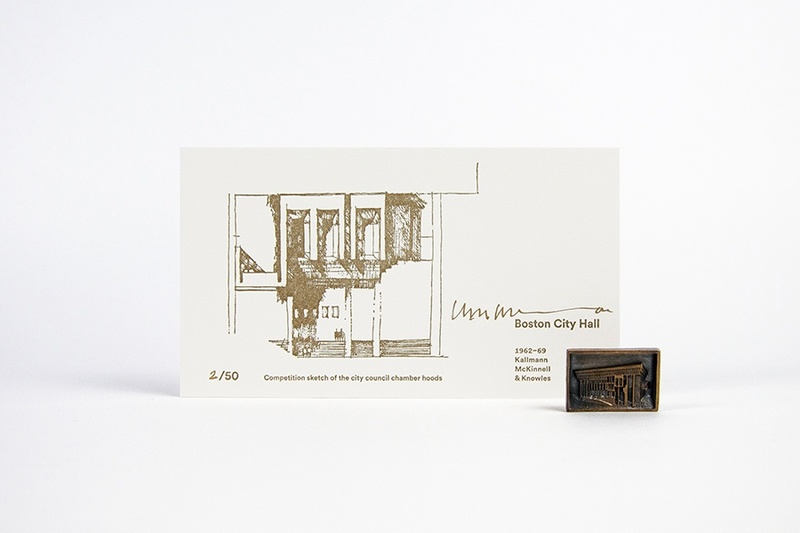 Printed in gold ink, the cards are signed by Michael McKinnell, one of City Hall’s architects. A portion of the pins’ sales will go toward docomomo US, an organization that seeks to preserve modern architecture, landscape, and design. You can buy a commemorative pin of your own at overunder.co.